In the mid 18th century, Cheikh Kanaan Kayss el Khazen from the house of Cheikh Abou Nawfal el Khazen from Ajaltoun, built a church to honor Mar Abda the bishop of Babel in Bakaatit Kanaan. Cheikh Abou Nawfal's brother Bishop Toubia el Khazen, who later on became a Patriarch, then took it upon himself to manage the church and sustain it. The church is today under the patronage of the sons of Abou Kanaan Abboud el Khazen from Bakaatit Kanaan house. As of 2006, they began renovating the church under the supervision of Cheikh Joseph Semaan el Khazen's office and the works are still ongoing until today. 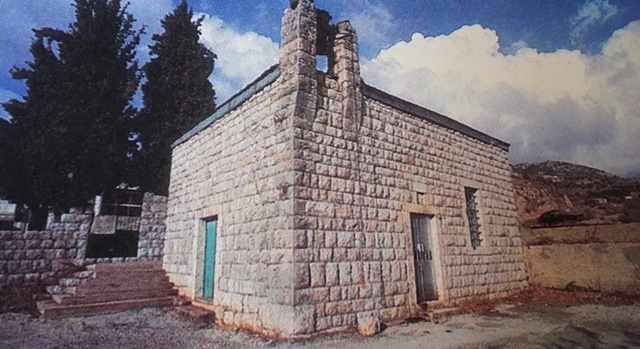 Meanwhile, a pastoral church dedicated to Mar Abda was also built in the town few years back.